I had been reading about the Chinese concept of Chi for decades prior to 2006 when I decided to give it a serious try. I had taken some Tai Chi lessons in the past only to quit early. 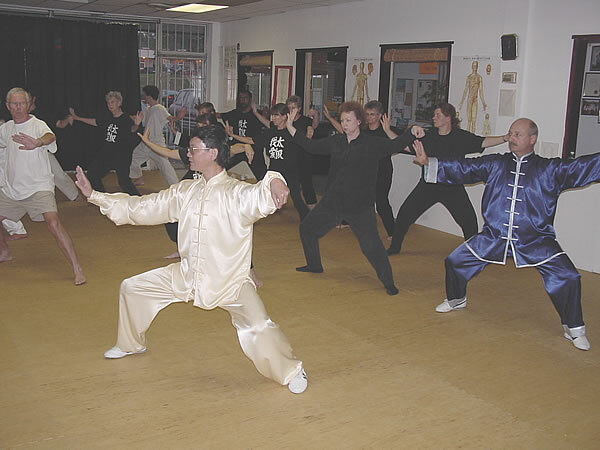 It was in 2006 that I started incorporating Qi Gong and Tai Chi practices in my pursuit of wellness. As a 57-year old marathon runner, I needed frequent chiropractic adjustments and massages. Soon after starting Qi Gong, I was able to eliminate the chiropractic visits, and needed less massage therapy. As a practitioner of yoga for 30 years, I immediately found Qi Gong and Tai Chi to be more effective in self adjusting my spine from top to bottom. Qi Gong exercises are never extreme (certain yoga position can be demanding). In this journey I have witnessed many other practitioners that benefit from Qi Gong in so many ways. 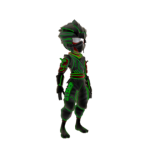 There are different forms and descriptions of Chi in traditional Chinese medicine and martial arts. It is described that these different forms of Chi can move around the body to help the transformation of the other forms of Chi. Each of these forms of Chi is equally important. I warmed up quickly to Qi Gong because of its subtle energy principles. I had already been exposed to the idea of Prana in yoga, and to the unifying energy field as explained in quantum physics. And in my nutrition studies, I had been attracted to the idea of food as one of our principal sources of energy. And so it is with passion that I was able to link Chi and food, and now understand more clearly the reasons why the BAC formulas are so efficient even in such small amount. 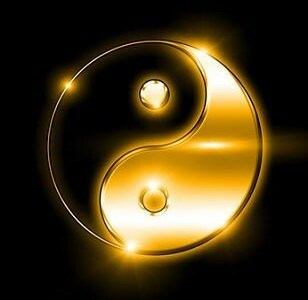 Next I want to share with you briefly the different practices of Chi Food, Qi Gong and Tai Chi. Food can provide a lot of Chi when the food is of good quality… but food can also steal your Chi when it is the wrong food, or when you eat too much of it. Food is a matter of energy, and not medicine. We live off the energy that we derive from food, water, sunlight and the air we breathe. Food is important, but we need to understand that we don’t need that much. The number two leading preventable cause of most killer diseases in America is over-eating. Also keep in mind that we place way too much “dependence” on gross foods for our sustenance and that we neglect the power of the air to breathe. Did you know that certain people have/can live weeks, even months without food while no one can live for more than a few minutes without air to breathe. The air we breathe contains infinitely small compounds/nutrients other than CO2 that are sufficient to maintain basic cellular survival for an undetermined and variable duration, depending on the subject’s biochemical makeup. I bring this up about food to help you understand the reason why some people seem to need less food than others, or that some people are able to fast for long periods of time with no problems. A lot has to do with the quality of the food/chi consumed and the individual’s metabolic ability to digest and utilize the nutrients in the food. And this quality factor in food may explain why many of us that consume BAC notice a decreased appetite. It speaks to the food/chi efficiency factor. Food Chi or Gu Chi is the first stage in the transformation of food into Chi. The Chinese medicine explains how food is “disassembled” by stomach juices and digestive enzymes, then sent to the liver and spleen to make Chi. This digestive process takes place in the Triple Heater also known as the “Three Spaces”. The stomach and spleen are in the middle space or heater. The Food Chi is sent from the middle heater to the upper heater. Here, in the lungs, it combines with air to form Zong Chi, and then to the heart where it is transformed into blood. After breath and sunlight, the most efficient foods in terms of energy or Chi tend to be the smallest and densest: apricots, lemons, dates, mung beans, parsley, lentils, seeds, grapes, figs, berries, nuts, and the like. Those foods that contain high energy-yielding nutrients with the least bulk and burden are the most efficient. In terms of energy potential some species of microalgae – those that are so small, they are invisible to the naked eye – also happen to be the densest, containing thousands of energy-supportive nutrients, more than any other food on earth. This clearly explains why the BAC formulas are the most efficient food on earth. Thirty years of research in the making, the BAC formulas are blends of four of the densest and most compatible microalgae/food form known – the culmination of nearly two decades of intense clinical research and several decades of proven results. They are 100% organic and deliver swiftly to the brain a dose of pure energy and zero toxicity. 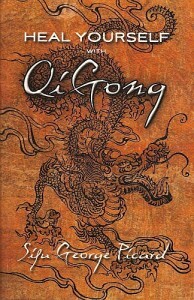 BAC is perfect Chi, a great companion to the practice of Qi Gong and Tai Chi. The word QiGong (pronounced “chi gong”) is a combination of two ideas: “Qi” means air, breath of life, or vital energy of the body, and “gong” means the skill of working with, or cultivating, self-discipline and achievement. The art of QiGong consists primarily of meditation, relaxation, physical movement, mind-body integration, and breathing exercises. For thousands of years, millions of people have benefited from QiGong practice and believed that improving the function of Qi maintains health and heals disease. In traditional Chinese medicine, good health is a result of a free flowing, well-balanced energy system. It is believed that regular practice of QiGong helps to cleanse the body of toxins, restores energy, reduces stress and anxiety, and helps individuals maintain a healthy and active lifestyle. Rehabilitation for high blood pressure, heart diseases, arthritis, diabetes, etc. Originating in China, Tai Chi is an ancient form of meditative exercise used to improve and maintain good health, increase longevity and improve self-defense. Tai Chi exercises are based on the highest principles of the Tao. Through daily Tai Chi practice, we can become as children again, without stiffness or tension. We can relearn how to move freely and naturally with the whole body connected, both structurally and energetically. In this way, we mirror our connection to the larger whole, as part of the universe. Prevention for high blood pressure, heart diseases, arthritis, diabetes, etc. Development of a frame of mind in overcoming depression.